For answers to some frequently asked questions please click on the tabs below. How soon can we get our system? Each BioPod is manufactured in Auckland, New Zealand. It will generally take two weeks to deliver from the time you place your order, but if your need is urgent we may be able to improve this. What is a wastewater report and who does it? Site Assessment – including slope, vegetation, depth of water table, proximity to waterways etc. Biolytix can provide advice and recommend engineers in your area to provide this service for you or if you already have an engineer we can assist them by providing technical information on the Biolytix system. Is the system suitable for solar powered homes? Yes, it is ideal as it does not use a lot of energy. There are two pumps in the system, one is a 5 watt diaphragm air pump and the second is an on demand submersible irrigation pump. The total daily power usage for the BioPod, in an average house, is about 0.2 kWh per day. This makes it ideal for solar power systems however you will require a 24 hour 240 volt supply. What is the power usage? The power consumption of the BioPod for treatment is 0.12kWh per day. It uses less than 5% of the energy needed to run a typical onsite wastewater treatment system, saving around 1000kWh pa.
Is there a powerless option? If the soils and topography of your property are suitable and your Council allows it we have a gravity drained system that uses very little power – only enough to run a small air pump (similar to that used in a fish tank). The total annual power use of this system is about 44kWh. This system requires at least a 3m fall on your site and needs to disperse into trenches or beds rather than dripline irrigation. 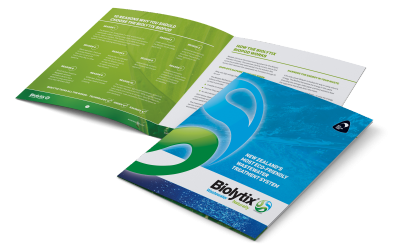 Biolytix has a national network of Biolytix trained registered drainlayers who will install your BioPod. How far away from the house can it be installed? Most people look to install the system between 3 and 20 metres away from the house. This is a good balance between leaving room for the patio or deck in the future and the cost of the sewer line from the house. Given that the system is discrete, small, odourless and you can’t hear it, you don’t need it to be a great distance from your house. Can you keep the tank above ground? The sewer lines from your house will need to gravity drain into the BioPod, so provided that you can achieve the right fall on your block of land, it may be possible. However, unless there is a special circumstance like heavy rock on your site, we generally recommend that the system be installed below ground. Is the tank waterproof in case of a flood? Generally the system should not be installed in a flood zone on your property. In the event of a flood, a service technician would visit and check the BioPod to carry out a full diagnosis and offer advice for rectification. Any work associated with this may be covered under your household flood insurance. Can I install it in a sewered area? Generally not. Most councils will require you to connect to a sewer if there is one available – please check with your Local Council. I have a portable house, can I move the tank when I relocate my house? The BioPod is securely installed and is not able to be moved. I have a small block, can I install a BioPod? In most cases Councils will not approve subdivisions or land parcels that do not have adequate area available for the dispersal of the water, so you will need to consider this when designing your house. In some cases you may need to disperse the water through trenches rather than the subsurface drip irrigation to minimise the space required for your system. The BioPod is great for small blocks as it has the smallest footprint of any on-site wastewater system on the market. I live in a 2 bed shed and will build a 4 bedroom house later. Can I install a BioPod Basic and upgrade to a BioPod later? A BioPod Basic treats to a primary standard and as this is a lower treatment quality than the BioPod you may not be allowed to install this system. The Biopod Basic cannot be upgraded to the BioPod at a later date so we recommend installing a system which can handle your future loading requirements. Why is the BioPod so cheap to maintain? The BioPod only uses a small amount of electricity and has less mechanical components to breakdown that is why it only requires 1 annual service. Some Councils do require all on-site wastewater systems to have at least two services per year. Who will service my system? One of our Biolytix trained registered drainlayers or maintenance technicians will offer a contract to service your system as required. All regular household wastewater from your kitchen, bathroom, toilets and laundry. Can I open the tank and drop food scraps in? No, however our systems can be used in conjunction with an in sink garbage grinder type food waste disposal system (may require Council approval in some areas). I have a chemical toilet in my caravan. Can I empty its content into the tank? The chemicals used in these types of systems can be toxic to the organisms in the Biolytix system and should not be disposed of into the BioPod as it may cause disruption to the balanced ecosystem. Lawns, shrubs, trees, bush and fruit trees. This is subject to Council regulations. Can I use the water on my vegetables? What are my irrigation dispersal options? The sub-surface irrigation kit is designed to irrigate below the surface of your garden or lawn. Alternatively some irrigation systems can be pinned to the ground surface and covered with bark mulch. Your wastewater engineer will recommend the most appropriate layout. How big does the irrigation/dispersal area need to be? This will depend on your soil type and also the potential occupancy of your home. Average irrigation field sizes vary between 200 sqm and 600 sqm. How far can the irrigation area be from the tank before I require the pump upgrade? A number of factors affect the maximum distance between your Bio-Pod and irrigation field and your wastewater engineer will generally calculate this. We can offer design advice and technical support to you or your engineer. Can I irrigate above ground? Some Councils allow surface irrigation using dripline but usually require dripline to be buried under suitable layer of bark mulch or topsoil. Can I store the treated water? Not without specific design. This is generally not recommended and unlikely to be consented by your Council. Can we add a UV filter or other attachment to make it an advanced secondary system? Yes, if tertiary treatment (disinfection) is required for your wastewater system we can recommend a third party UV disinfection system that works well with the Bio-Pod.